Dining table with inclined table legs and distinctive wood grain. 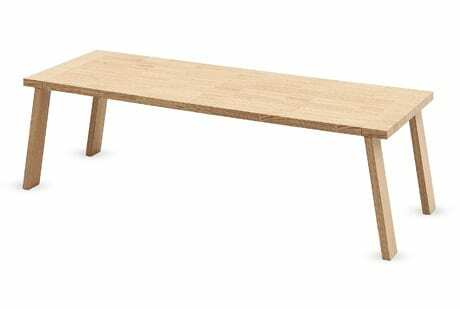 Elegant and stable: The structure of the distinctive dining table Section is made in wood and has the same finishes of top which is made in wood veneer. The finishes of wood could be oak, grey stained oak or American walnut. The plus of the table is the irregular wood texture that is on the surface of the top. The here offered model is not extendable. The table Section is available in our online shop also in an extendable version with extension plates. Do you have a question about "Section (fixed)"? How can we contact you?